The question of whether what vets do serves a larger purpose is pondered by Hubert Hiemstra, who has asked: am I wasting my time and talents in practice? Jane Davidson asks whether more should be done to prepare clients for their pet’s hair loss post-surgery – using the example of Ollie the cat, documented on Twitter by her owners Ricky Gervais and Jane Fallon. Hubert Hiemstra sets all readers a sleep challenge as an experiment to see if they will be less tired after trying a new routine. New Tip of the Week author Hubert Hiemstra kicks off with a big wake up call that should ring alarm bells with many in the profession. Blood transfusions, pt 3: how much? Gerardo Poli concludes his series on blood transfusions by discussing how much volume to give during the process. 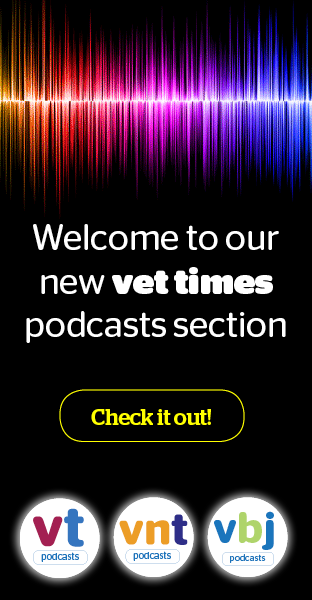 Jane Davidson addresses the situations where clients call ”to see the male vet” instead of ”one of the young female vets”, and what the industry can do to tackle this line of thinking. Blood transfusions, pt 2: what do I give? If you're unsure on which blood product to administer during a transfusion, Gerardo Poli's handy guide runs through the requirements. Gerardo Poli runs through the “transfusion triggers” that point towards whether the process needs to take place. Jane Davidson reveals the first rule of OSCE Club, which is a necessary step to creating some exam-worthy accessories.